Meditation vs Yoga: Are They Different From Each Other? In recent years, yoga and meditation have become so widely popular across the globe. Day by day, more and more people are realizing their value and how they can positively change their lifestyles. Both concepts are so close to each other that people often mistakenly interchange the two. We hear people say that they will practice one thing when they actually meant the other. Despite their popularity, a lot of people still cannot tell apart the differences between yoga and meditation. Now, you may be wondering what the contrast is between meditation vs yoga. Perhaps you have always believed that they are the same for the longest time. Meditation and yoga are a bit different from each other. To understand the concept a little bit further, let’s first dig into what yoga really is. Read on below to find out more. For those of you who are quite familiar with yoga and its concepts, you might be thinking that reading this part won’t be necessary. However, it pays to remember that yoga is a practice which involves physical, mental, and spiritual discipline. 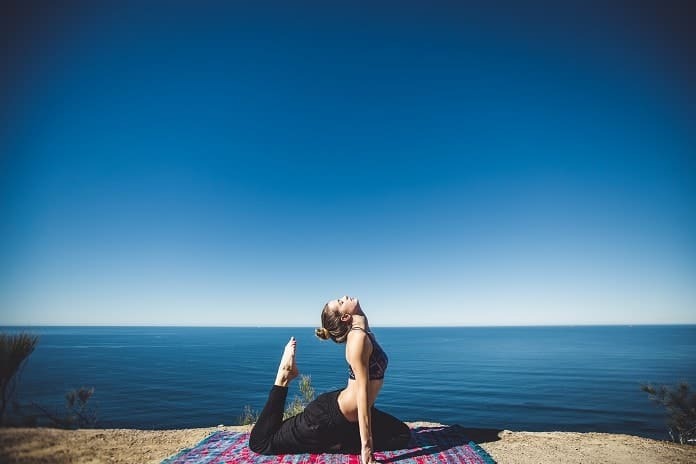 A lot of people tend to think that yoga is simply a form of physical exercise, especially now that it has become a popular program found in many gyms and fitness centers. Although it does have some physical practices involved, one must not miss out on its mental and spiritual aspect as well. Yoga is all about the balance of all these three aspects and it aims to make us healthy not just on the outside, but also on the inside. For many people, yoga is considered to be a way of live. Experts have taught us that yoga is meant to be incorporated in one’s daily activities. It teaches you how to find inner peace in a busy world while also keeping yourself healthy physically. Some people may also mistake the practice of yoga to be a form of religion. In fact, there are still lots of individuals today that think practicing yoga makes you a Hindu and this is not true at all. While it is true that yoga has its roots in Hinduism, it should not be seen solely as a type of religion but rather as a form of spiritual practice. You must have known by now that yoga is comprised of many smaller types of practices – 8 steps, to be exact. In traditional yoga, or also referred to as Ashtanga, the practice is mainly divided into two parts: external and internal yoga. Each part also has many different branches, each focusing on a certain aspect of the practice – whether it be physical, mental or spiritual. Now, you might be thinking that all this information has nothing to do with meditation, especially for those who are only interested in meditating. When it comes down to meditation vs yoga, you might only be concerned about which one will do you more service and help you gain more benefits. But actually, both practices would still require active participation. You might also be thinking that meditation is widely different from yoga. After all, one does not have to be in downward dog to be able to meditate. However, it is important to note that meditation does have something to do with yoga, and that this form of practice should also be treated with some form of discipline. Meditation vs Yoga: What Is the Difference Between Meditation and Yoga? In a sense, meditation and yoga are both connected to each other. In fact, meditation is actually a smaller part of yoga. So, if you thought that you’ve been practicing yoga but are limited to meditation practice, there is absolutely nothing to worry about. There is still plenty of room for you to expand in your yoga practice if you wish to do so. While yoga is a way of living that influences every aspect of your life on a deeper level, meditation is a method which allows you to find some inner peace and it requires no physical movement or exercise. Although the many benefits of meditation can undoubtedly prove to be life-changing, it is not quite as invasive as yoga practice. One is simply required to have the discipline to sit down and empty the mind when meditating, but yoga might require other things such as physical exercise and other lifestyle changes. There is no stark difference between meditation and yoga. After all, we’ve learned that meditation is actually a part of the yoga practice. It is still possible to practice meditation without having to become a yogi. And additionally, one does not have to change religion to properly practice yoga and or meditation.